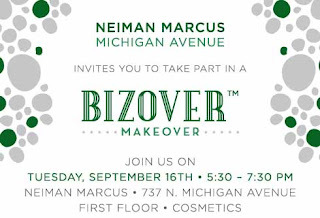 Lema Khorshid of Fuksa Khorshid LLC, a leading law firm in River North, and Lisa Huber of Berkshire Hathaway in Chicago, will be co-chairing the 9th annual BizOver™ event at Neiman Marcus on Michigan Avenue. The bi-annual beauty and networking event will be held 5:30 pm to7:30 pm Wednesday, September 16, and brings together male and female professionals and entrepreneurs to indulge in an evening of pampering, networking, style coaching, cocktails and light hors d'oeuvres. 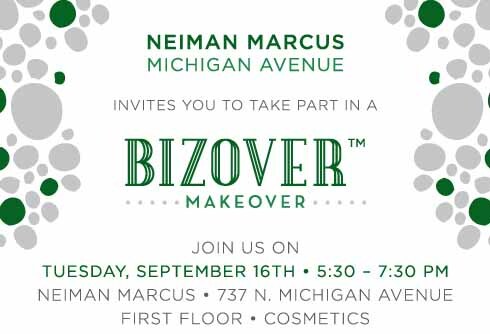 BizOver™ attendees will have the opportunity to meet nearly 200 professionals from diverse fields around Chicagoland while enhancing their beauty and wellness. Female guests will receive BizOver™ makeovers and mini manicures, while male guests will receive skin consultations, hair styling, and fragrance sampling. Co-hosts of this year’s fall event include Eloise D. Bahrmasel, Laura Cripe, Donna Gutman, Behice Ece Ilhan, Shannon Painter, Megan Puzen, Rania El-Sorrogy, Trisha Squires, Jennifer Ublasi, Nicole Vasquez, Amy Wolf, and Jaime Zwierzynski.